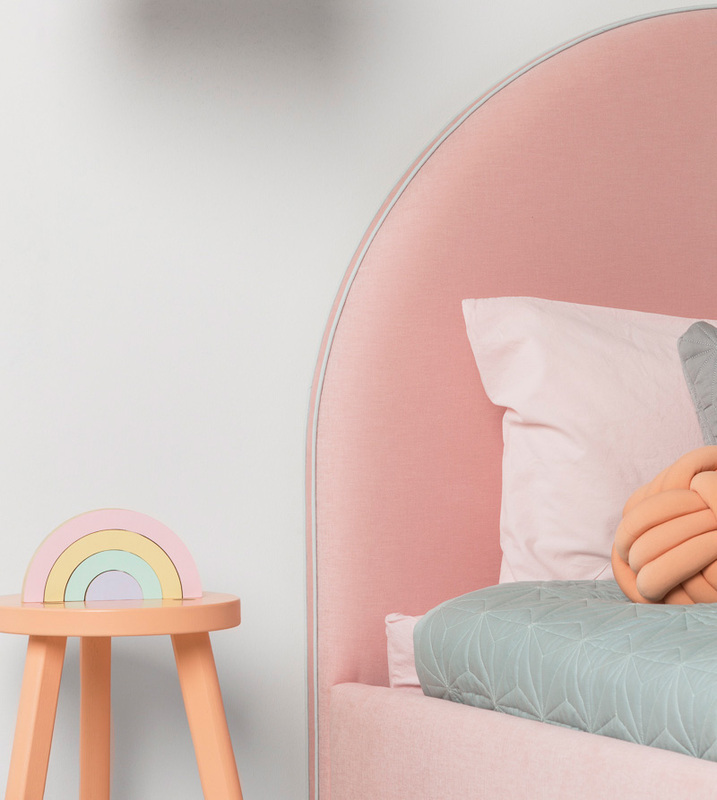 When we heard Peoni Home was joining forces with interior designer Bel Kurtz of Petite Interior Co, we knew a fabulous new bed design was going to be just around the corner. Jump on through to discover the Petite + Peoni Crescent bed which promises to deliver the sweetest of dreams. Renowned for stunning upholstered bedheads, we adore the contemporary design of the Petite + Peoni Crescent beds and bedheads – the newest styles to hit Peoni Home’s already stellar, fit for slumber lineup. 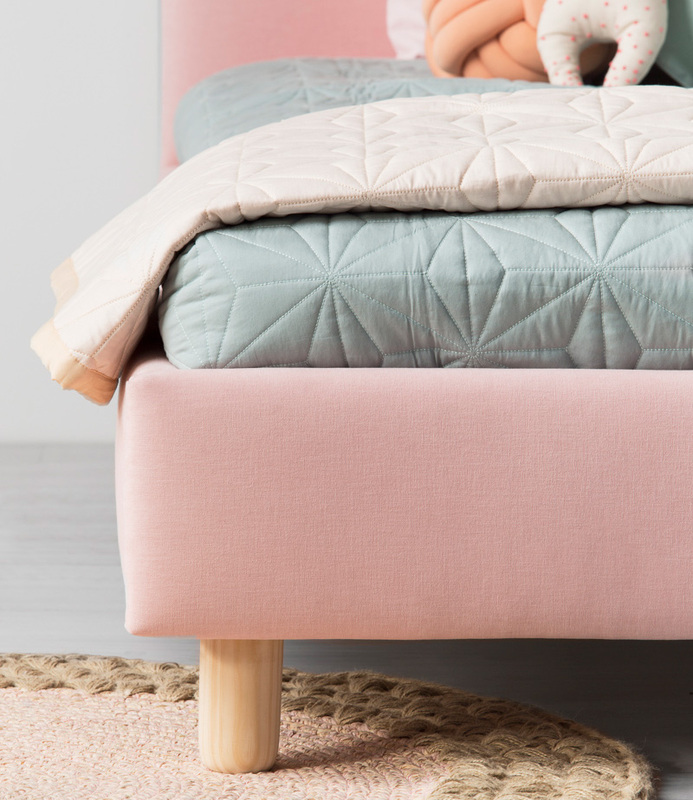 The classic upholstered crescent shape bedhead and base is made perfectly modern with wooden squat legs and the use of a colour palette packed with fabrics in colours currently bang on trend. 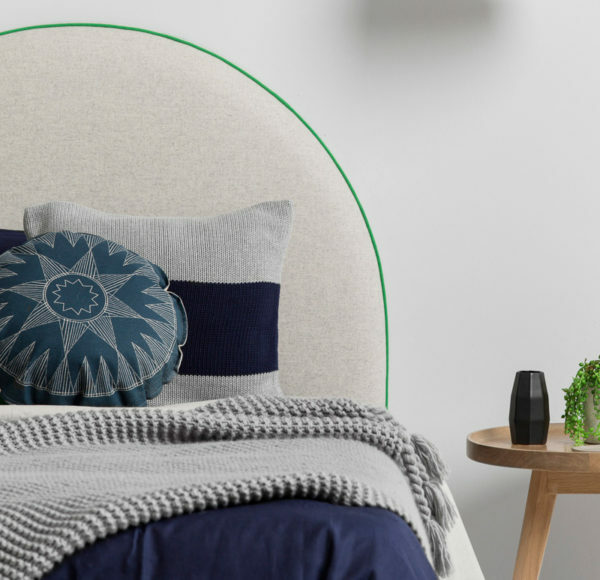 A bed design you can put your own personal touch to, you can choose to add an extra pop of colour with contrasting double piping or play it effortlessly cool with fabric in all the one shade. Available in single, king single and double sizes, Petite + Peoni Crescent bedhead is priced from $750 and the Crescent bed from $1750. Order direct from Peoni Home.